Braye Rueff attended the University of Kentucky where she majored in Biology. 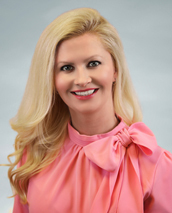 She completed her Masters of Health Science in Physician’s Assistant at the University of Kentucky in 2007, and is certified by the National Commission on Certification of Physician Assistants. She is a member of the Kentucky Academy of Physician’s Assistants, and the American Academy of Physician Assistants, as well as the Society of Dermatology Physician Assistants. Braye is a native of Pikeville, Kentucky. She joined DAK in 2008, and resides in Lexington with her husband and two kids.